In diamond machining of freeform surface on brittle materials, very small machining parameters are necessarily adopted to suppress the brittle fractures, which inevitably leads to low processing efficiency as well as fast tool wear. In the present study, ultra-precision fly cutting is first adopted in processing brittle materials for freeform surfaces to improve machining efficiency and reduce tool wear. In fly cutting, a large swing radius (over 40 mm) is configured between the diamond tool tip and the rotation axis of the spindle, so the workpiece material is intermittently removed by the periodical cut-in and cut-out movement of the diamond tool. 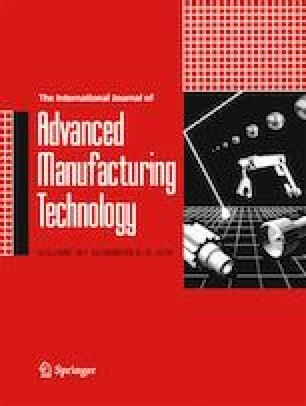 The theoretical results show that this unique process generates a very small chip thickness (80 nm) even under large feed rates (9 μm/r) and cutting depths (70 μm), which accordingly improves the machining efficiency without generating brittle fractures. The experimental results show that only 200 min is needed in fly cutting of an F-theta lens with height variation over 50 μm on single-crystal silicon, while over doubled time is needed for conventional slow tool servo. The generated surface is very smooth and uniform with a roughness of only 6 nm Sa. Besides, only micro-ruggedness of diamond tool is formed in fly cutting without the premature appearance of the micro-chips, which enhances tool life and reduces the re-sharpening cost of diamond tools in processing brittle materials. This work was supported partially by the Research Committee of The Hong Kong Polytechnic University (Project Code: RUNS).